This task will run as an initial assessment for year 8 students who will study media for 1 Semester of the year. 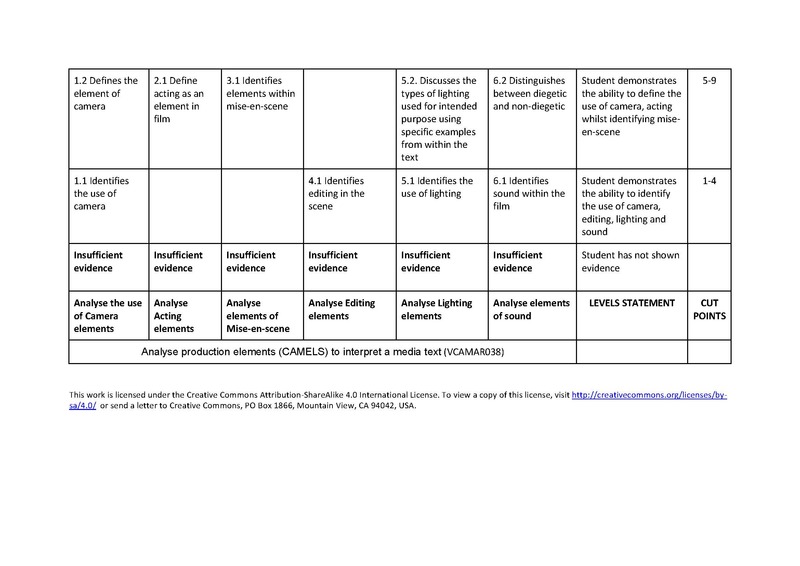 The task will introduce students to key terminology and language required to delve into the deeper analysis required in other curriculum strands. The task is designed to ensure students are competent in domain dependent learning capabilities so we can move into analysis of technique and audience and eventually practical work. The task will require students to create a PowerPoint, which defines the production elements they have learnt. The students will also be required to use examples from the film text studied in order to interpret the filmmakers intended meaning and the impact on the audience from these techniques. Students will have three lessons in class to create the PowerPoint as well as home work time. They will have viewed the film in a class, engaged in class discussions and had examples modelled for them with the expectations of their responses. The purpose of this assessment is to formatively assess the students knowledge of the key production elements used in filmmaking. In particular the students will need to analyse the production elements used by the filmmaker / director by providing an example used in a film text and further discuss the intended impact for the audience. The task is designed to ensure students are competent in domain dependent learning capabilities in order to move into analysis of technique and audience and eventually into practical work. The task will require students to create a powerpoint which defines the production elements they have learnt as well using examples from the text studied to interpret the filmmakers meaning and the impact on the the audience from the use of these techniques. Students will have three lessons in class to create the powerpoint as well as homework. They will have viewed the film during class, engaged in class discussions and had examples modelled for them of the expectations for their responses. The students marks will be recorded in a paper folder markbook and transferred on a marks table on the school’s google drive. The students will receive their marks via their student email with comments added. The students powerpoint will be accessed via Google Drive where they have submitted it. Marks will be used against the rubric. They will then submitted online and sent to the students. The assessment and its interpretation will be used to assess the student’s ZPD and to further assess future teaching practice. 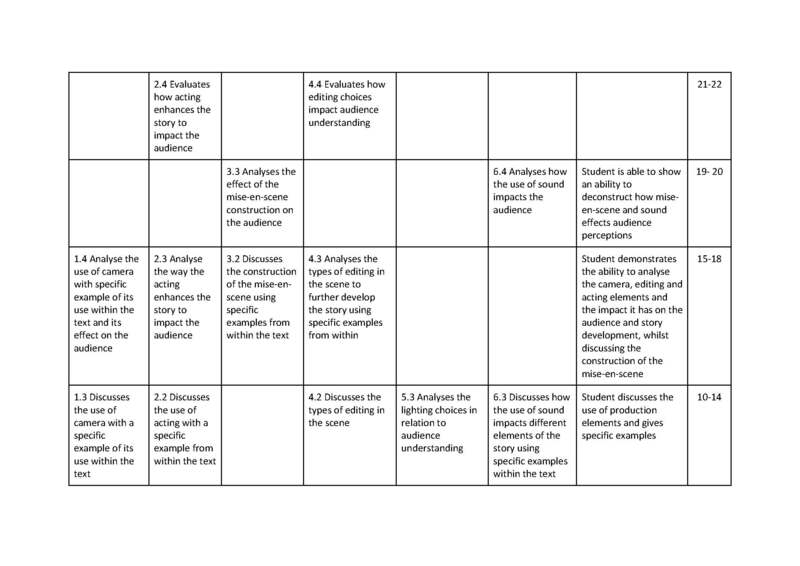 The identified gap in key knowledge and key skills will be used to further scaffold the students for year 9 media class. (middle) Discuss the production elements within the text by showing examples.